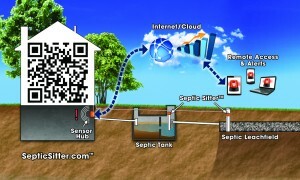 The “Internet of Things” goes underground with Septic Sitter! Internet of Things (IoT) related products and services are predicted to become the next big mass market reality since the development of the world wide web. 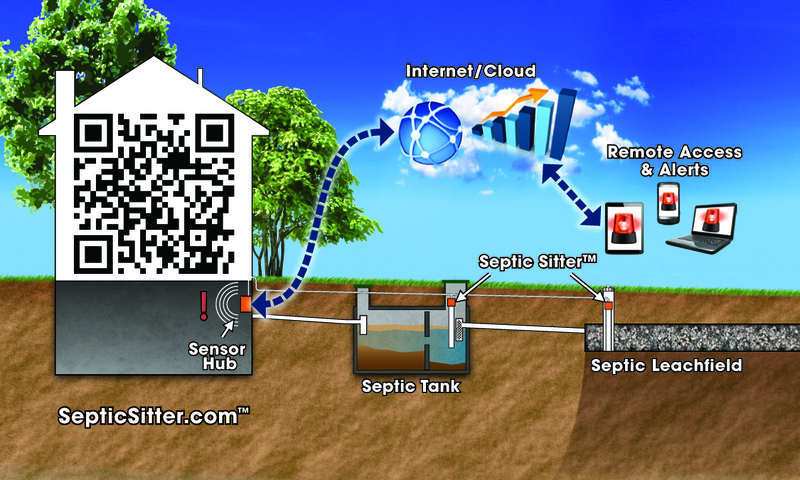 With Septic Sitter™, the IoT and Home Automation go underground…in your backyard. But just what is the value to the environment and consumers in having a smart, internet connected septic system? 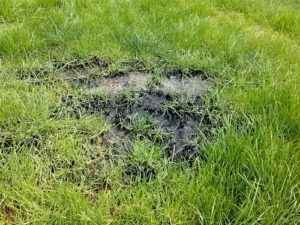 An overloaded septic system can cause raw sewage to breakout on the ground surface, a public health hazard for people and pets. Approximately 45 million homes in North America use onsite sewage treatment (aka septic) systems as opposed to centralized sewage collection and treatment. It is estimated that 40% of new home construction in the USA and Canada will rely on septic systems for wastewater management. Unfortunately, most homeowners don’t understand how their septic systems work, or realize that they have capacity limitations. Every year, this lack of understanding results in public health and environmental hazards from sewage backing up into homes, or breaking out in yards. It can cost thousands or even tens of thousands of dollars to fix septic problems that often could have been prevented. Septic problems are far more common than you would think. Millions of homeowners have problems with their septic systems every year according to the USEPA. The Septic Smart web site quotes statistics which estimate that 10% to 20% of all septic systems malfunction every year. Data from provincial governments depict a similar situation in Canada. It seems almost everyone knows a relative or friend who has had a septic problem, or has experienced one themselves. 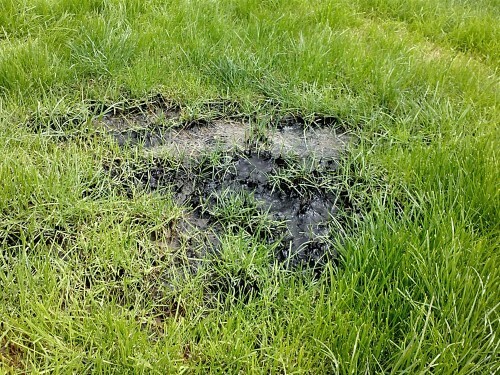 Lack of maintenance, excessive laundry use, leaky toilet flappers, basement sump pump and roof downspout connections, are all very common ways that homeowners unwittingly cause failure of their septic systems. 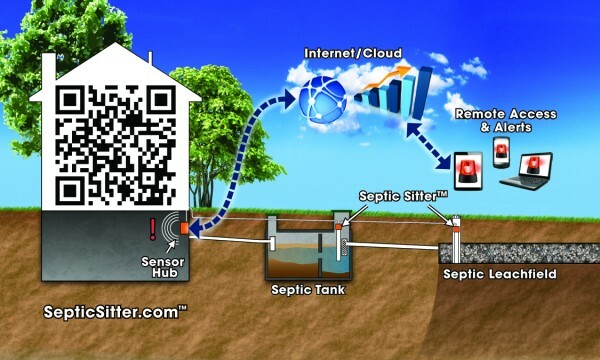 Our vision with Septic Sitter™ is an IoT system that will keep watch over your septic system and protect it from accidental overloading before a nasty environmental and costly financial disaster were to occur. Septic Sitter installed in an inspection port in a conventional stone trench drainfield. This innovative electronic monitor provides peace of mind by confirming the subsurface wastewater infiltration system (drainfield) is working properly, and is not being overloaded. Septic SitterTM installs easily in any standard drain field inspection port. It uses patented, state-of-the-art, non-contact ultrasonic sensor technology, which avoids possible problems with biofouling of contact type sensors. 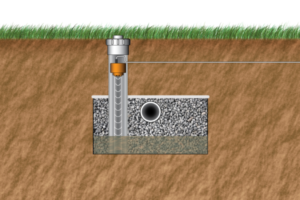 Septic Sitter installs in the septic tank and drainfield and keeps watch to ensure your system is working properly. As part of a home automation system, Septic Sitter will be able to initiate preventative action by telling the smart washing machine and dishwasher to shut down, *before* septic overloading occurred. It could also cause the water supply to be temporarily turned off (for example by using this smart water shut-off valve sold by Lowe’s) and email a service request to a designated septic professional or plumber. An IoT system that will provide peace of mind for your behind™. When it comes time to sell your home, the data and reports generated by Septic Sitter can be used to document the proper operation and functioning of your septic system. These can be provided to future buyers of your home, or their septic inspectors to ensure you maximize your property value. We anticipate that the Septic Sitter hardware will sell for under $800 for a complete system. Visit our on-line store to place an order and qualify for early-bird pricing. You will be one of the first to receive a Septic Sitter system as soon as it is ready to ship (Anticipated for the first quarter of 2016). Come see us at CES2015! NXP Semiconductor’s Internet of Tomorrow Tour – mobile demonstration and training facility will feature Septic Sitter at CES2016! We are very excited that a live Septic Sitter™ demo will be running on the NXP Semiconductors Internet of Tomorrow Tour (#DrivingIoT) truck trailer at the 2016 International Consumer Electronics Show (#CES2016) in Las Vegas in January! Detailed Septic Sitter data allows for unique “onsite insights”! Come see us at the NOWRA Convention and Exhibition in Nashville! IoT is becoming a very big thing, its time for smart septic systems.